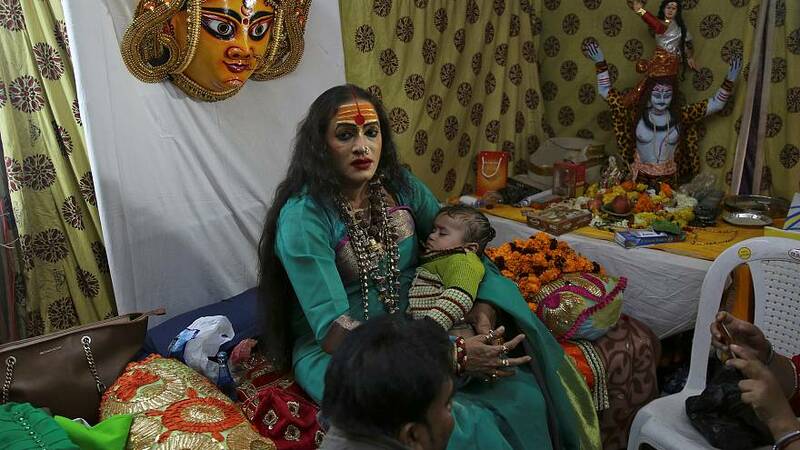 She literally stole the show on January 15, the first day of the ancient ritual, as she and her religious movement called the Kinnar Akhada became the first transgender group to bathe in the sacred waters traditionally reserved for select Hindu priests, almost all of whom are men. On that day, Tripathi woke up at 4am, put on a saffron coloured sari and applied her make-up to prepare for the auspicious moment. Security stood by as she and her followers made their way through crowds on shiny chariots to take a dip and "reclaim" their place in mainstream, orthodox Hinduism. "This was a time that every second was so important for me and of my existence. After centuries down the line, we children of the same Sanatan Dharma were placed back with dignity to the space which we belong. No language, no dictionary has words or my own vocabulary is failing to express my emotions at that time," Trithpati said of her thoughts on that landmark day.